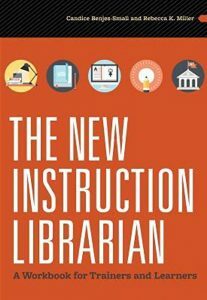 If you’re a librarian or avid reader, you’re probably used to getting the same things every year during the holidays—new books, bookmarks, requests from relatives for help on research papers. 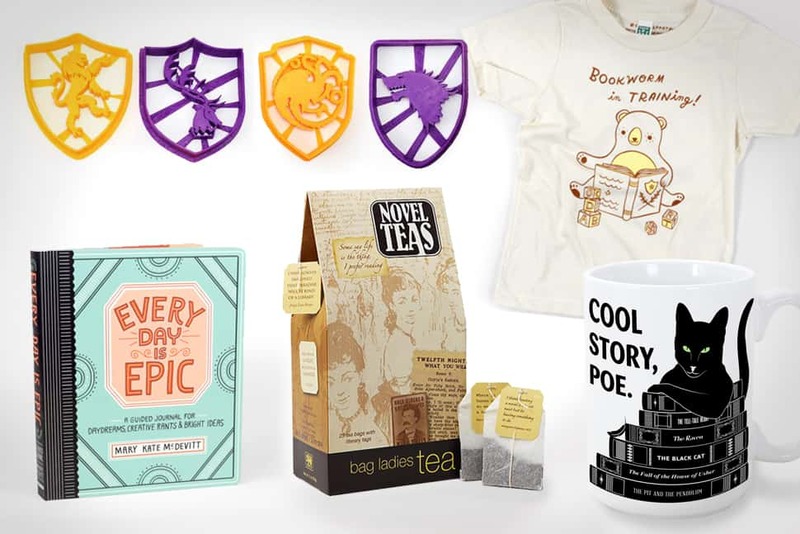 But you can mix it up this year by adding these cool gifts to your list. 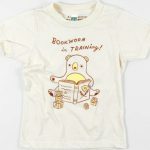 They’re great for those hard-to-buy-for folks you shop for, too—creative types, cooks, techies, board game enthusiasts, kiddos, fashionistas, stressed-out parents, Game of Thrones fans, or hostesses with the mostesses. This 15-oz. 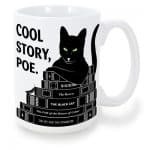 ceramic mug features the star of Edgar Allan Poe’s “The Black Cat” giving a twist on the deadpan “cool story, bro” rejoinder. Perfect for the sarcastic coffee-drinker. 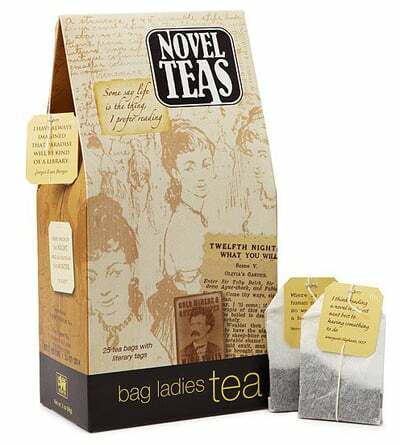 In addition to providing a great pun, these Sri Lankan black teas are perfect for helping caffeinated book lovers gear up for the day. 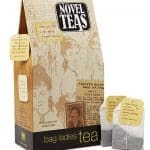 Each English breakfast teabag includes a quote from a notable author, such as T. S. Eliot or Alice Hoffman, to provide inspiration for which authors to read next. 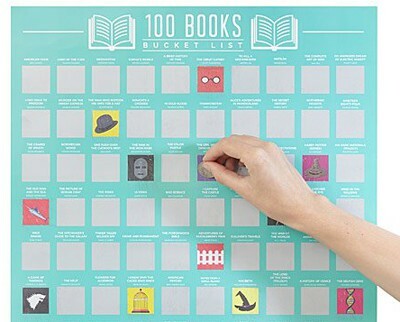 Speaking of which authors to read next: This 100 Books Scratch Off Poster scratch off each title box—such as The Color Purple, Norwegian Wood, or Freakonomics—with a coin as you read them, revealing literary artwork underneath. 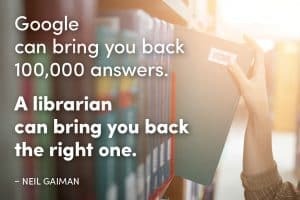 If you know someone looking for motivation to read more in 2018, this interactive bucket list might do the trick. 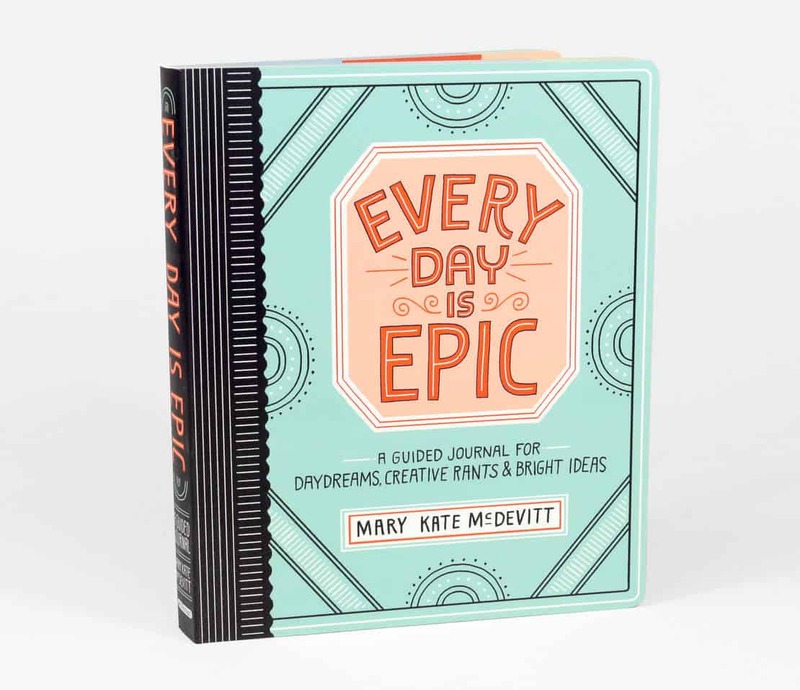 If you’ve ever been stuck in a creative rut, you’ll appreciate this one-year guided journal by artist Mary Kate McDevitt, filled with affirmations, unique prompts, and colorful illustrations. 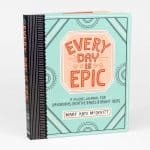 This journal has clever prompts and checklists like, “Epic Rant: What is going on with…”, “What would you stitch on a jean jacket?”, and “Today’s Checklist: Got stuff done, Laughed, Was helpful, Ate something, Had fun.” Celebrate the small stuff and the big stuff, from getting out of bed and putting on pants to coming up with an idea for a new creative project. 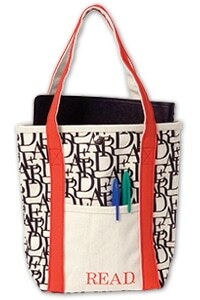 Celebrate reading (or bringing your favorite lunch to work) with this custom American Library Association READ tote. 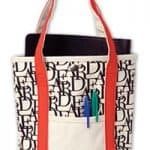 This roomy bag can hold the book(s) you’re currently reading, a thermos for your morning commute, and snacks to keep you going. 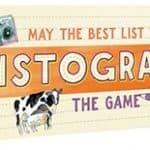 Fans of the popular Listography journals (books include Food Listography, Travel Listography, and Parenthood Listography) can now enjoy the series in game form. 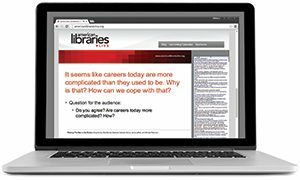 In this game, players are given a topic, such as “Pizza Toppings,” “Elements of the Periodic Table,” or “States That Border Canada,” and have to write down a certain number of answers before time runs out. With these Game of Thrones (GoT) cookie cutters, you can make House Stark, Baratheon, Lannister, and Targaryen cookies for your next holiday shindig or Sunday GoT viewing party. 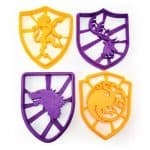 If you’re not in the baking mood, use them for Play-Doh and other crafts and activities. 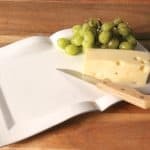 Serve cheese and crackers, fruit, or House Targaryen cookies in style with this 10” x 14” porcelain book platter at your next book club, dinner party, or GoT binge-watch. 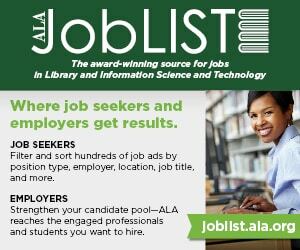 The recent adult coloring book craze has shed light on the many health benefits of coloring, from its calming effects to its social aspects. 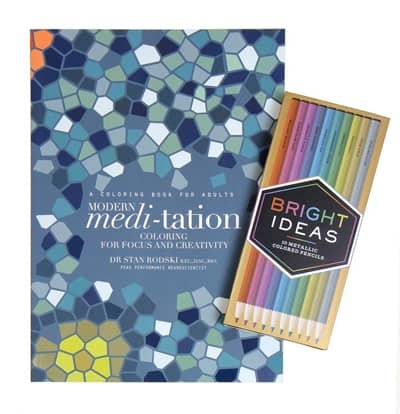 This coloring book continues to support this, using insights from neuroscience research. 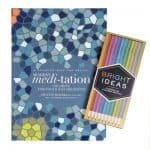 Written by cognitive neuroscientist Stan Rodski, it includes 75 unique patterns that reduce stress and improve focus. 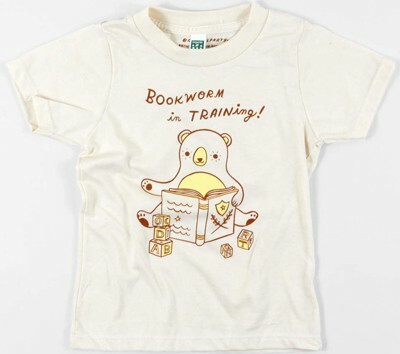 Celebrate and encourage a child’s love of reading with this cute and fashionable organic cotton T-shirt, designed by Susie Ghahremani of boygirlparty. 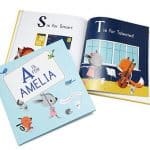 Now that your bookworm is in training, he or she can have a personalized picture book, customized with his or her name. 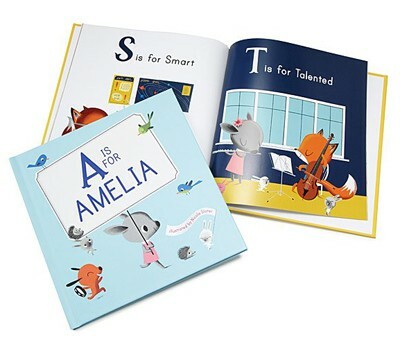 This illustrated book covers the alphabet and positive characteristics, like “B is for brave” and “T is for talented.” At the beginning of the book, you also can include a personal message. 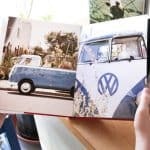 Social Print Studio lets you print your digital photos as greeting cards, magnets, prints, photo albums, and other tangible items. 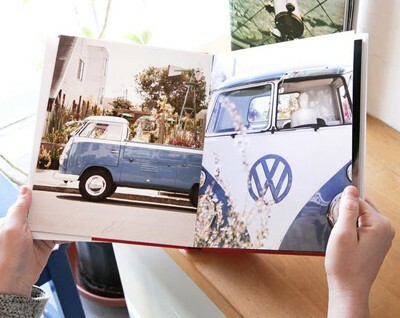 This Layflat Photo Album is a great way to celebrate and commemorate big events like your sister’s wedding, a recent vacation, or your parents’ anniversary on matte-finish photo paper with a custom dust jacket. 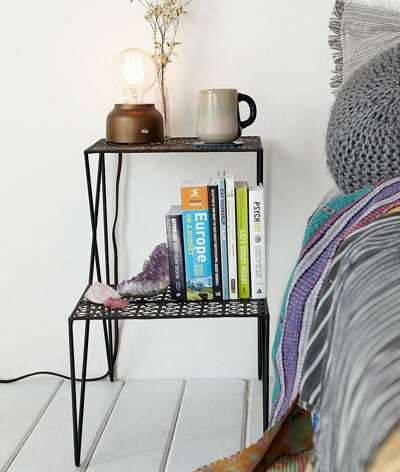 When you don’t have a lot of space but do have a lot of books on your nightstand, this punched-metal, two-tier side table will come in handy. 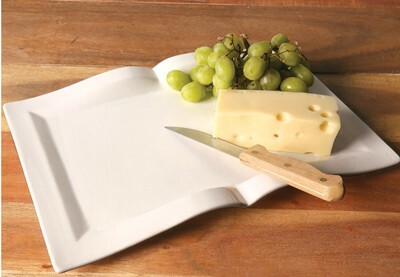 The piece is sleek, durable, and available in black or teal. When folded, Mini Lumio+ looks like a hardcover book. 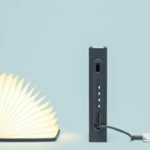 But when opened, it becomes a high-performing LED lamp (and device charger) that looks like a paper lantern. 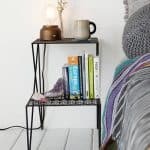 The compact, portable lamp can be used as a table centerpiece, a bright lamp for a photo shoot, or a night-light for bedside reading. Lumio also offers other lamps, such as Classic Lumio, Classic Lumio Fabric, and Papier Tigre Limited Edition ($200 each).